Coming up with a recipe using Great Value refrigerated pie dough wasn’t difficult. Pretty much from the moment I heard it would be this month’s challenge, I knew that I wanted to make a sweet cherry hand pie recipe I’ve been working on. Developing a delicious homemade sweet cherry pie filling for it was another story — but I think I’ve hit on a winner! 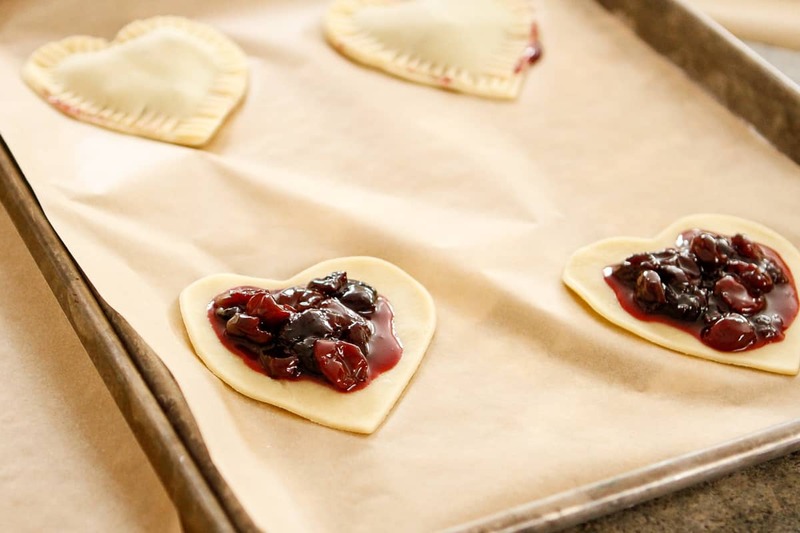 This tasty filling uses a combination of frozen sweet cherries and dried cherries that are complemented by the addition of pure almond extract. I know this may not be an ingredient you have on hand, and you can certainly substitute vanilla extract if not. But be sure to pick up some almond extract for next time. I just love the pairing of the sweet cherries and almond flavoring! Making the cherry hand pies is really simple. First I pulled the Great Value refrigerated pie dough out and let it sit on the counter for about 10 minutes to warm up and become more pliable. Then I unrolled it and cut it using a heart-shaped cookie cutter. You should be able to get four hearts per round initially (there are two rounds in a package), and if you re-roll the dough, you should be able to squeeze out at least another two, for a total of six hearts from each round. 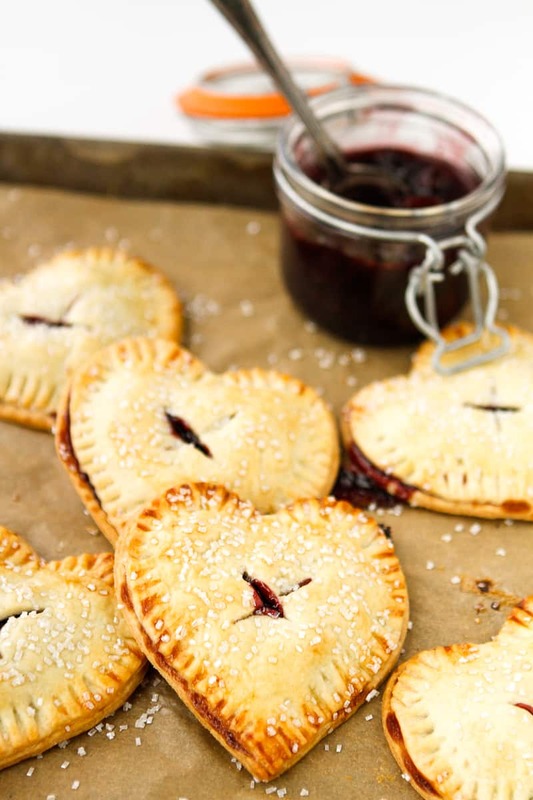 Place a bottom heart on a parchment-lined baking sheet, and top it with a couple of room temperature spoonfuls of the cherry pie filling, making sure to leave room around the edges for sealing. Lay another heart on top, and use a fork to crimp the pies shut on all sides. After all of the hand pies are sealed, place them in the refrigerator to chill for about 30 minutes. After 30 minutes have passed, pull the hand pies out and cut an X-shaped slit in the top of each one. Brush with the egg wash mixture and sprinkle with coarse sugar. Bake at 400-degrees for about 18 minutes or until golden brown and bubbling. These are such a cute little treat for Valentine’s Day and beyond! Mix the sugar and cornstarch together, and add all of the cherry pie filling ingredients to a sauce pan. When the mixture thickens, turn the burner off and allow to cool to room temperature, stirring occasionally. Pull the Great Value refrigerated pie dough out and let it sit on the countertop for about 10 minutes to warm up and become more pliable. Unroll it and cut it using a heart-shaped cookie cutter or any desired shape. Place a bottom shape on a parchment-lined baking sheet, and top it with a couple of room temperature spoonfuls of the cherry pie filling, making sure to leave room around the edges for sealing. Lay another heart on top, and use a fork to crimp the pies shut on all sides. After all of the hand pies are sealed, place them in the refrigerator to chill for about 30 minutes. After 30 minutes have passed, pull the hand pies out and cut an X-shaped slit in the top of each one. Make an egg wash mixture by whisking together one egg white and one tablespoon of water. 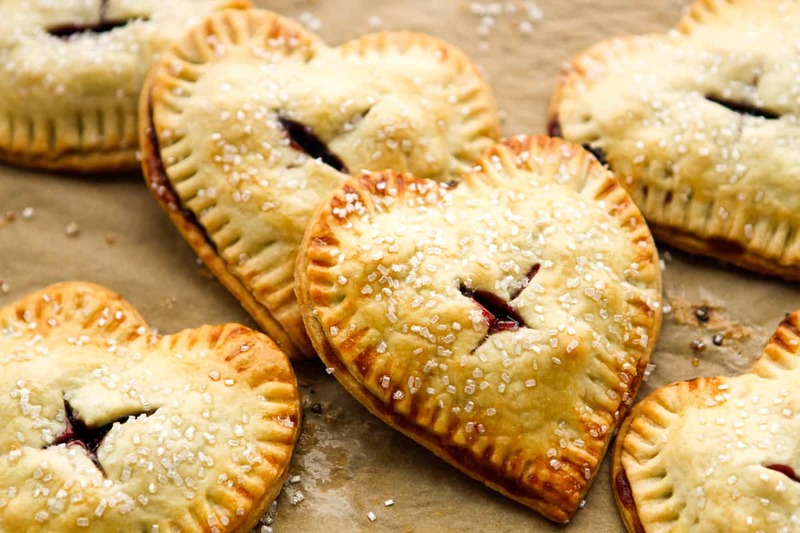 Brush each cherry hand pie with the egg wash mixture and sprinkle with coarse sugar. Bake at 400-degrees for approximately 18 minutes or until golden brown and bubbling. And finally we progressed to just chucking flour and dough every which way. So I spent the rest of the afternoon wiping down every horizontal surface in my kitchen and then some — but it was fun while it lasted! We also managed to squeeze in a batch of these stained glass sugar cookies using the Great Value refrigerated sugar cookie dough. I found that the Great Value dough has a tendency to spread a little more than my favorite recipe for sugar cookies, but it it still worked well enough. And of course my kids will eat them either way! 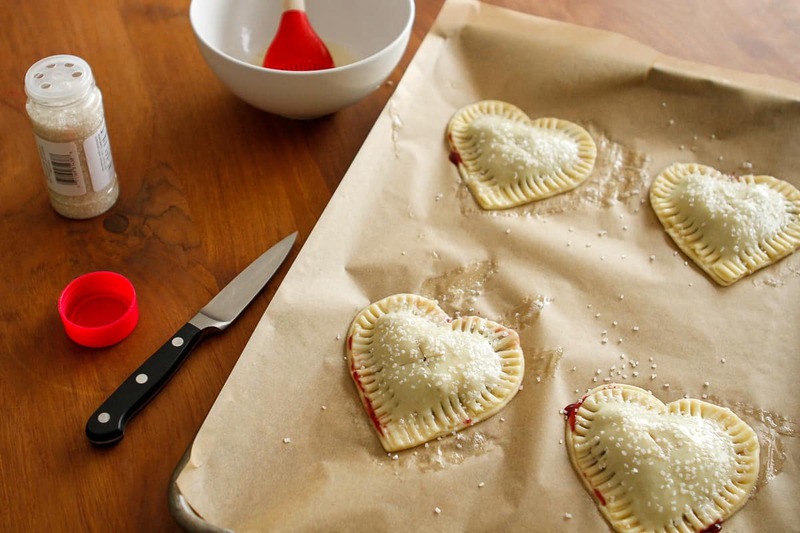 Are you planning to bake anything fun for Valentine’s Day? Disclosure: I received compensation from Ralcorp and The Motherhood for the time and effort spent creating this post. However, my participation in this program is voluntary and my opinions are my own — always have been, always will be. Tara, these are adorable and look delicious! Perfect for anniversaries, too! I made cookie butter truffles for V-Day! I love making hand pies! These are so cute!! These are so pretty, Tara. Great for kids too, cute pictures! So pretty! I love the course sugar on top! Tara these are super cute!